Rare double lot for sale across from water in South Gulf Cove. Great for building now or investment. 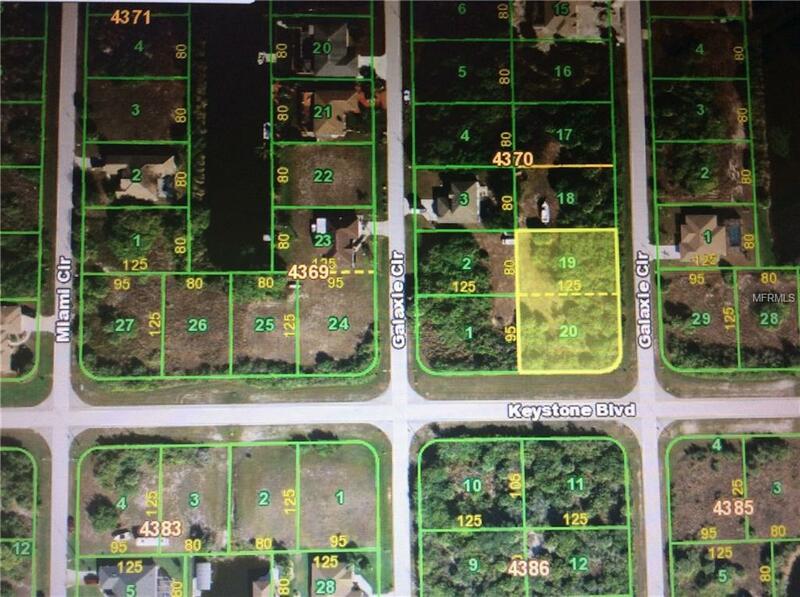 Corner lot attached to regular lot for 175 x 125 dimensions. South Gulf Cove is located close to beaches, numerous golf courses, world class fishing, shopping, and Tampa Bay Rays spring training. There is much new construction in the area. Community boat ramp with Gulf access. Bike to 2 waterfront parks. This is your opportunity to purchase app half acre in South Gulf Cove. We work with numerous area builders. Make this lot yours today.